Need a quick loan ? 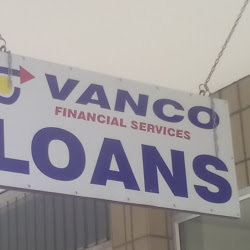 Vanco Financial Services is the right place for you. With 16 branches throughout Gauteng, Mpumalanga and the Free State , friendly staff will be very happy to assist you. Cnr. van Riebeeck and 26th St.
Cnr. Lourens Muller and Waterson St.